We're going to introduce you now to a man named Usama Canon. 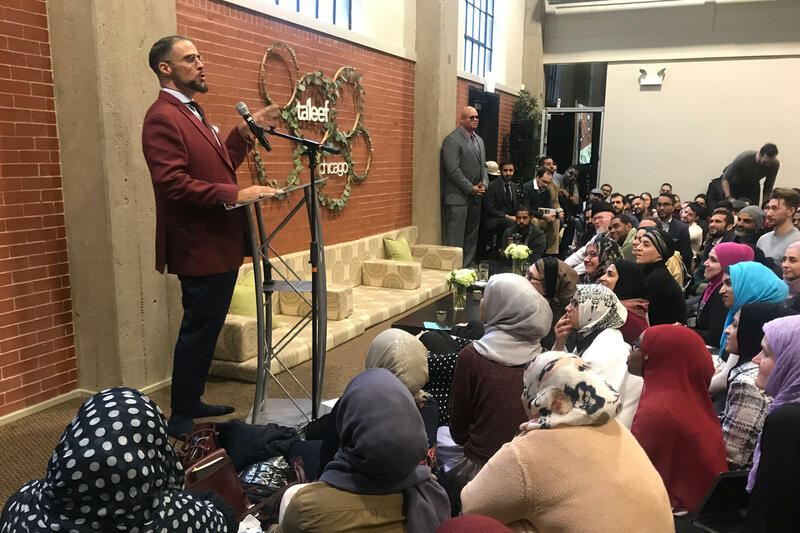 He's a Muslim preacher, and he has developed a significant following by helping American Muslims - from youths to converts to inmates - explore and understand Islam in their daily lives. Usama Canon now faces a new challenge. He's discovered that he has Lou Gehrig's disease or ALS. NPR's Leila Fadel spent some time with him. LEILA FADEL, BYLINE: Usama Canon has this laid-back West Coast vibe. He wears a beanie and prayer beads wrapped around his wrist like a thick bracelet. And he sits on the floor. FADEL: A drum circle sings praises of the Islamic Prophet Muhammad at Ta’leef Collective's Chicago campus. It's one of two, The other in Northern California. It's part lecture hall, part sanctuary, part gathering space. Mint tea is served on gold trays as incense burns and Canon begins to teach us. USAMA CANON: If you find yourself religious but your religiosity has led you to be unkind or to be less than loving or less than patient, then you're doing something wrong. FADEL: He's the California-born son of a black Baptist father and a white Christian mother. 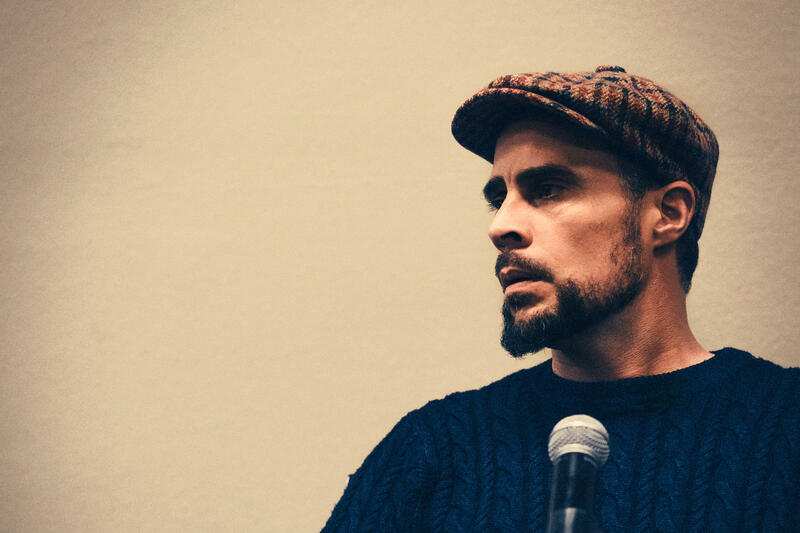 He became Muslim in 1996, embracing the faith through hip-hop and a pursuit of social justice. He spent many years working as a Muslim chaplain in the California prison system, calling those prisoners some of his greatest teachers. On a car ride on a rainy night, Canon describes Ta'leef. CANON: It's rooted in the idea that Islam is not a foreign thing, and Islam is not suspect, and Islam is not malignant. Granted, I mean, there's all this insanity in the world, and there are Muslims doing the same things. But the core of the religion is a beautiful, beautiful thing. FADEL: After studying with Islamic scholars in the U.S. and then abroad, his teachers convinced him to start Ta'leef over a decade ago. CANON: Ta'leef was born. And so I just did what I knew how to do, which was like feed people and talk to them and hang out with them and hold them in a non-judgmental way. FADEL: Zareena Grewal calls Canon unique. His online lectures have made him a global figure. She teaches at Yale University and writes extensively about U.S. Muslims. ZAREENA GREWAL: He understands that there is a need for affirmation. Muslims feel really lonely. Pressures on the community often manifest in Muslim infighting, of feeling judged. FADEL: She says he's been successful creating a third space between the mosque and home that is unreservedly welcoming, especially for young or new Muslims who feel judged by non-Muslims as a threat and then judged inside their own communities on whether they're Muslim enough. More than half of U.S. Muslims came of age after 9/11. Also, he makes Islam look cool, Grewal says, in the way he dresses - bow ties, pocket squares, lush fabrics - and the way he speaks, slipping from references to hip-hop to personal stories to quotes from the Quran. GREWAL: It's really modeling a much more kind of expansive vision of what it means to be an ethical Muslim, and that to prove your piety, you don't need to don a turban or bow your head and be very quiet. You can have a little swag. You can be cool. FADEL: Twenty-four-year-old Fatima Saleck met Canon at a Ta'leef mentorship program. The college student was struggling. Muslim extremists committing acts of violence left her angry and confused. Canon helped restore her faith, reminding her that humans are capable of bad and capable of good. FATIMA SALECK: The connection that he gave us was so authentic. There's no facade behind it. There's no, oh, I'm a teacher, and I have studied overseas. It was just, hey, my name is Usama, and I understand what you're talking about. FADEL: That authenticity is his greatest appeal says acclaimed Muslim hip-hop artist Brother Ali. He says Canon taught him there isn't just one way to be a good Muslim. Everyone has their role, and Brother Ali recalls Canon telling him his is his music. That message inspired his most recent album. BROTHER ALI: (Rapping) Uncle Usi taught me - can't teach what you don't know, can't lead where you don't go. FADEL: But Canon's disease, ALS, will eventually steal the voice he uses to teach and paralyze his body. He talks about sharing the diagnosis. CANON: And then folks showing up. And it was almost kind of being a ghost in the room. I'm like, dude, I'm not dead yet, dude. Like, I'm right here. Like, why are we pre-mourning? FADEL: His first thought when to his five kids. He may never see them marry. Most people die within 3 to 5 years of finding out. And with a time limit on his life, he thinks about the things that drive his faith and his work - orphans, the homeless, a prison system he sees as broken. FADEL: He reflects on what he's created. CANON: It's only as lasting as the women and men that have hopefully benefited and learned. FADEL: The next day, Mansoor Kazi of Ta'leef Chicago introduces Canon to a crowd of hundreds. MANSOOR KAZI: Anyone in the audience that believes that Usama has also had a significant impact in their life, please stand. FADEL: Every person stands. Leila Fadel, NPR News. BROTHER ALI: (Rapping) Uncle Usi taught me - can't teach what you don't know, can't lead where you don't go. Transcript provided by NPR, Copyright NPR.